Larry Cesspuch, a Ute spiritual leader, filmmaker and adviser for Ute PAC, speaks at a fundraising meeting at the Park City Library on Tuesday, Dec. 13, 2017. 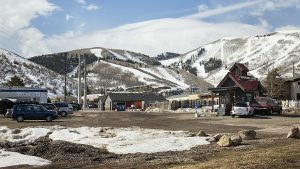 Ute PAC plans on working out of Park City to advocate for the Ute tribe and oppose the movement to resize Bears Ears National Monument. Utah’s namesake is bringing the battle over Bears Ears National Monument to Park City. Tuesday evening at the Park City Library, Robert Lucero, founder and director of Ute Political Action Committee, and Larry Cesspooch, a Ute spiritual leader and filmmaker residing in the Uintah and Ouray Reservation, spoke to a group of about 20 prospective Summit County donors and supporters. Among the topics of conversation: the 2016 Public Lands Initiative and the current legal battles over President Trump’s dramatic resizing of Bears Ears. 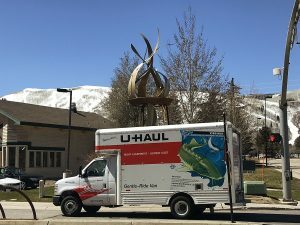 Lucero said Ute PAC plans on establishing a permanent office in Park City in the near future because the Ute tribe has a good relationship with the community. 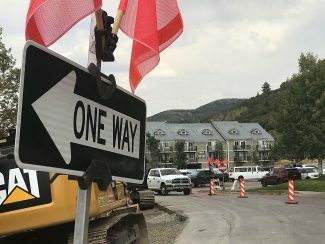 “Park City is, to me, the sixth borough of New York City, where it’s a lot of people who are well-placed in society who have resources who like to give to organizations like ours and who want to support our fight,” Lucero said. Cesspooch said that Park City’s proximity to the Uintah and Ouray Reservation is good for facilitating activism. “No matter where you need to go to rally people together to protect the earth, that’s where you go,” Cesspooch said. Trump recently visited Salt Lake City to announce the resizing of Utah’s national monument boundaries, shrinking Bears Ears by 1.1 million acres and Grand Staircase-Escalante by 800,000 acres. The moves have drawn swift opposition from groups concerned that private interests will extract natural resources from the land formerly included in the monuments, destroying archaeological artifacts and disrupting sacred ground. Cesspooch described the Utes’ homeland, encompassing Utah and Colorado, as a “Super Walmart” for resources like salt and game. The Trump administration and supporters of his move to shrink the boundaries contend that it rolls back federal overreaches by the Clinton and Obama administrations, which created the monuments under the Antiquities Act. A tribal coalition including the Utes is a leading voice in the din of lawsuits opponents of the plan are throwing Interior Secretary Ryan Zinke’s way. Cesspooch said he believes Rep. 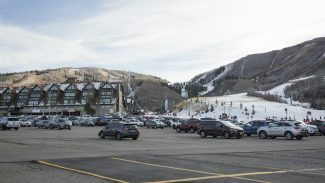 Rob Bishop, a Republican whose district includes Summit County, has a history of sponsoring legislation to take Ute lands with minimal input from Utes themselves. Lee Lonsberry, Bishop’s director of communications, said in an email that further legislation from Rep. John Curtis, co-sponsored by Bishop, should alleviate tribal concerns over the treatment of the land. “I can assure you that the local voices are not being ignored,” Lonsberry said. Curtis’ legislation proposes two new national monuments in San Juan County: Shash Jáa, co-managed by the tribes involved, and Indian Creek National Monument. Lucero said the bill amounts to the balkanization of Bears Ears and finds naming the new monument “Shash Jáa,” the Navajo term for Bears Ears, to be problematic as it only comes from one tribe. 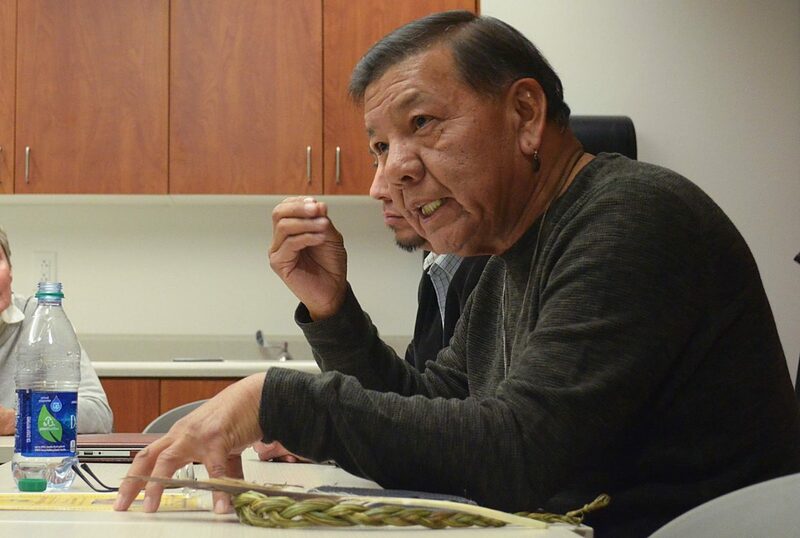 Utah Dine Bikeyah, a Navajo group, told the Salt Lake Tribune it had worked with the inter-tribal coalition to choose an English name that more inclusively represents the Uintah Ouray Ute, Ute Mountain Ute, Zuni, Hopi and Navajo members of the coalition. The other legislation introduced by the Utah House delegation is a bill from Rep. Chris Stewart, a Republican, proposing a new Grand Staircase-Escalante national park. Lucero, who spent the day collecting petition signatures on Main Street, said he was encouraged by the level of support he observed in the people he talked to in Park City. Park City resident Jane Burns, an attendee of the meeting, said she has been engaged with the process since the beginning. She attended both anti-Trump protests in Salt Lake City. Based in Logan, Ute PAC originated in opposition to the Public Lands Initiative, a bill Bishop sponsored in Congress last year that would have turned over portions of Ute land to federal authorities.